“I would like to share some wonderful news with you. 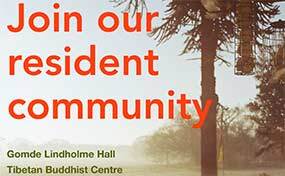 More than 300 Nepalese and Tibetan lay practitioners have gathered in our monastery for a month-long intensive retreat on the preliminary practices." 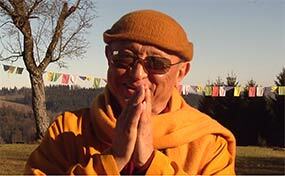 Happy New Year wishes from Chokyi Nyima Rinpoche. 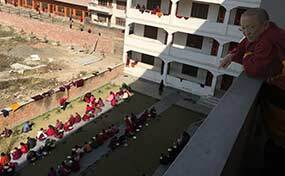 Chokyi Nyima Rinpoche made a special journey to the village of Dhola, in Dhading District to view, first-hand, the progress made on the building of 55 new homes for victims of Nepal's destructive earthquakes of 2015. 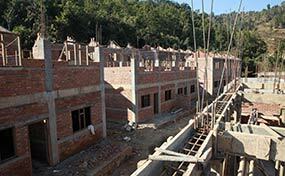 Rinpoche toured the new construction site, examining every aspect and meeting with those overseeing the project. 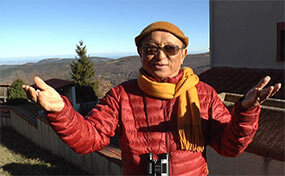 Tsikey Chokling Rinpoche bestowed more than a week of the Thukdrub Barchey Kunsel empowerments and Chokyi Nyima RInpoche bestowed the Rinchen Trengwa Chod empowerments. Chokyi Nyima Rinpoche would like to share with you, on this auspicious day of a special full moon, the good news he just has received. 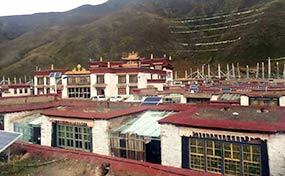 Rinpoche's monastery 'Drong Gompa', where he resided in his his previous lifes, situated a couple of hours away from Lhasa on the Tibetan Plateau, has now been fully restored. 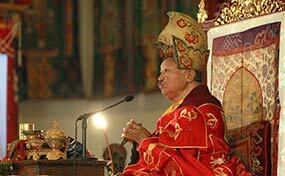 The annual November seminar in Boudhanath ended today on a very special day! 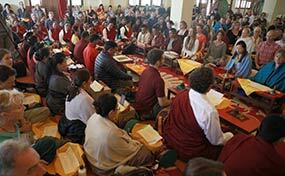 Today, on a very special full moon, the annual November seminar at Ka-Nying Shedrub Ling has concluded. Rinpoche, monks and nuns and the entire assembled lay community practiced together the 'Treasury of Blessings' sadhana, 'Calling the Guru from afar' and a concise 'Chod' session . 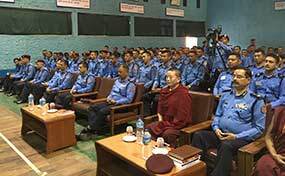 Chokyi Nyima Rinpoche offering meditation instructions to police officers in Kathmandu, Nepal. "With a calm mind you will become physically and mentally more and more relaxed and at easy and more and more positive qualities will arise." 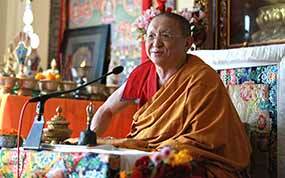 Chokyi Nyima Rinpoche offered teachings and bestowed the outer and inner Tara empowerments at the Tara's Triple Excellence retreat in Pharping. Earlier today, India's Ambassador to Nepal, Ranjit Rae invited Chokyi Nyima Rinpoche to meet the honourable President of India, Shri Pranab Mukherjee, at a special reception held at India House, Kathmandu. 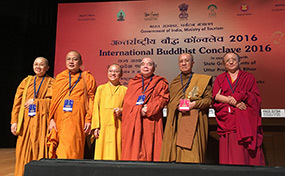 During the 5th International Buddhist Conclave in Varanasi-Sarnath, Buddhist heritage and pilgrim sites of India and the precious Dharma were the main topics.